It started on a dare. On Cyber Monday morning a friend posted about a deeply discounted, round trip airfare offered to London. By lunchtime I’d followed her lead and bought the ticket. It was an ‘if not now then when?’ moment and I jumped. Flight in hand, I started planning a week exploring with a Swiss Travel Pass. Finally, I was going to see Switzerland! The intervening months flew by and moments after landing in Geneva I discovered how easy getting around with the Swiss Pass was going to be. I flew directly from London to Geneva, caught an airport shuttle to the central train station and found the SBB Tourist office quickly. A few questions later and I was out the door to catch a waiting bus to my hotel. The bus was packed during rush hour but I didn’t need to fumble for the correct Swiss change. The driver nodded a welcome and I was in my hotel room fifteen minutes later. Travel Tip: Check SBB Info offices for whatever you may need. The clerks that I met always spoke English beautifully, were helpful and full of local insights. At the larger offices you can change money, check baggage, some even rent bikes. They’re open in most every station and you can check hours, etc. online easily. I chose a southern route through Switzerland. It was late winter but the weather was sunny and mildly cool. My rain poncho never left the luggage, but I did put my cold weather boots to good use daily. 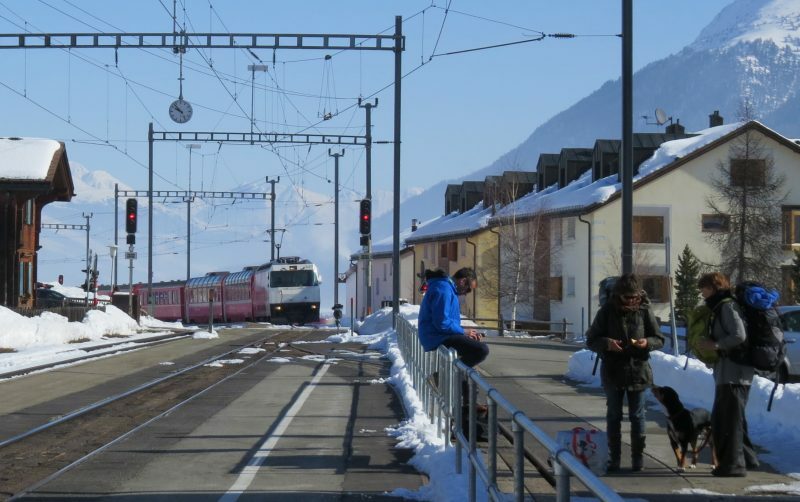 The Swiss know winter well and the trains, cities and villages take it in stride. As I rode along, lines of avalanche foils sat on perilous mountain sides, their cross-hatched shadows standing guard above the tracks. We passed quietly through valley after valley. Swiss trains run almost silently fueled by electricity with few horn or whistle blasts but there were announcements for each station spoken softly in several languages. I just had to wait for the one I understood. The tray tables also had maps imprinted on them so it was easy to see where we were and what was coming up next. Map embedded in train compartment tray at my seat. 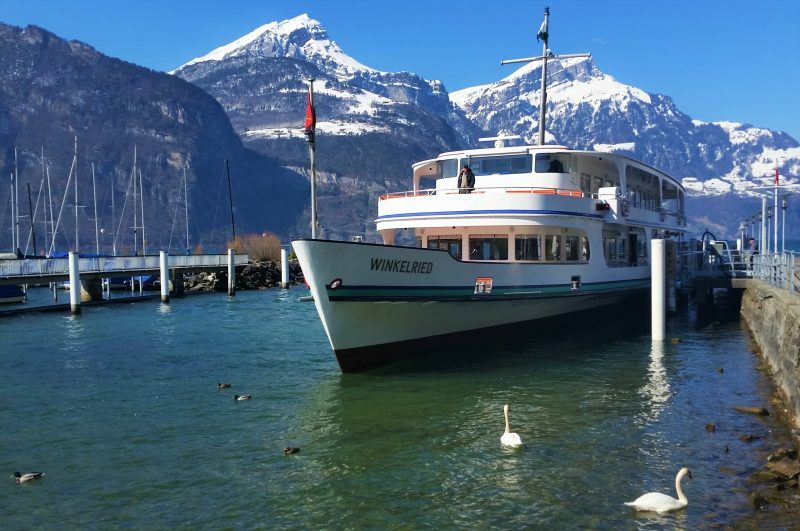 I was up early for a short walking tour of Geneva then, luggage in hand, strolled to the station and onto my train for a few days in Interlaken and a ride up to the Top of Europe. I covered that adventure in an earlier post and wished I had more time to explore that area. Travel Tip: Pack light and compactly. I had a small rolling case, a backpack and purse. It all was unwieldy and I wished there was less to schlep up and down the trains, stairs, across frozen snow. 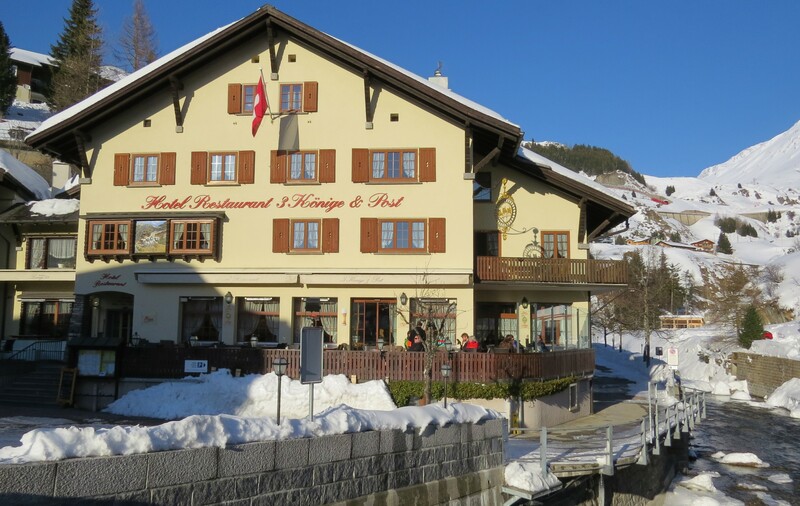 Once across the lake, I walked to the train station and within minutes was on my way to the village of Andermatt. We climbed through tunnels and past rock crevices. Wide expanses of snow glittered as we passed and within a few hours I was disembarking. This time the station was about a five minute walk from my village hotel, the Three Kings, but it wasn’t too hard to pull my luggage over the compact snow. 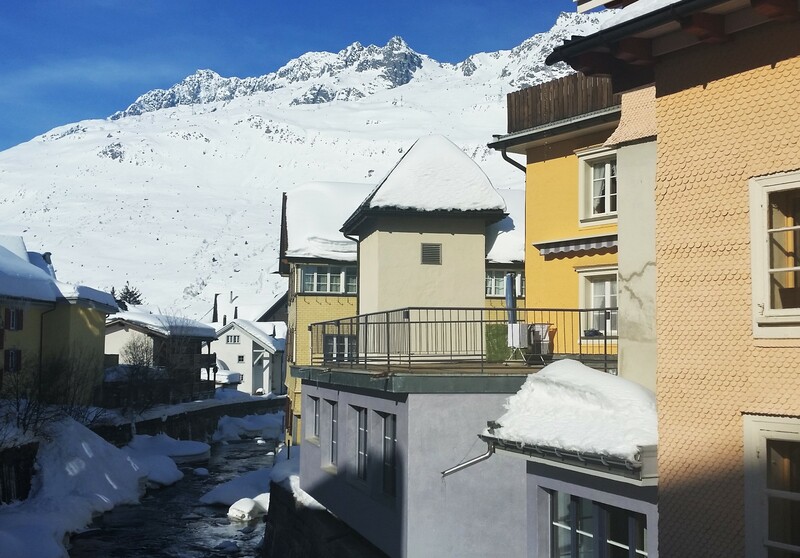 Andermatt is the Swiss village I’d dreamed of with ski lifts and lots of diversions in the winter but it’s popular with hiking trails and bicycling in the summer as well. Accommodations run from state-of-the-art luxury at the five star Chedi Hotel to pensiones and hostels close to the ski lift (see hotel links below.) The village was easy to walk and my Swiss Pass gave me free admission into the fascinating Suvorov Family Museum. The hardest decision was where to eat! 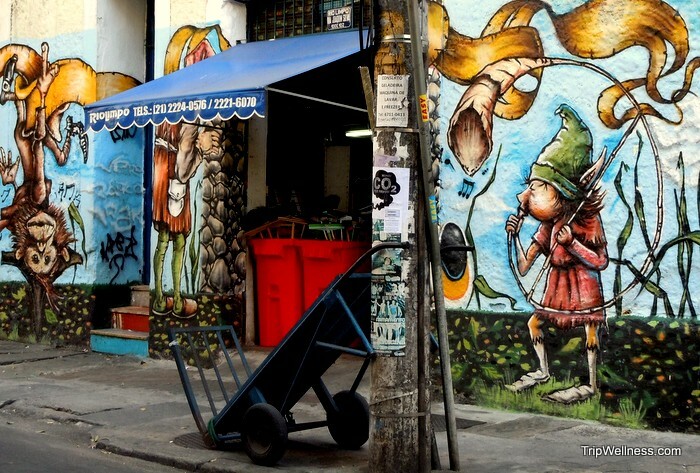 The choices were many – the restaurant at my hotel or any of the other bars and restaurants along the two main streets. 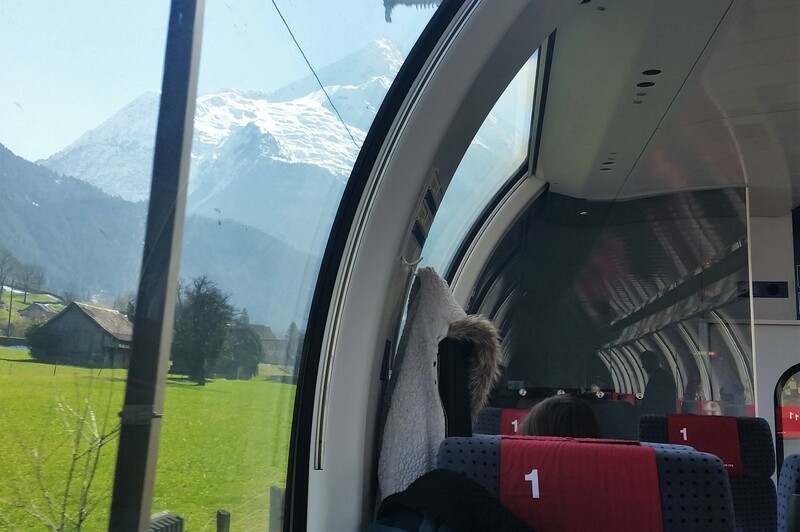 Next part of the trip was a first class ride on the Glacier Express. This ticket had a supplemental cost but was well worth it for the five hour excursion. We sat in a warm, panorama car and were served a multi-course lunch, snacks, schnapps and a gift cart even came by. First class indeed! The views were astounding as we rolled smoothly through white realms in between peaks, then into greener valleys to the south. 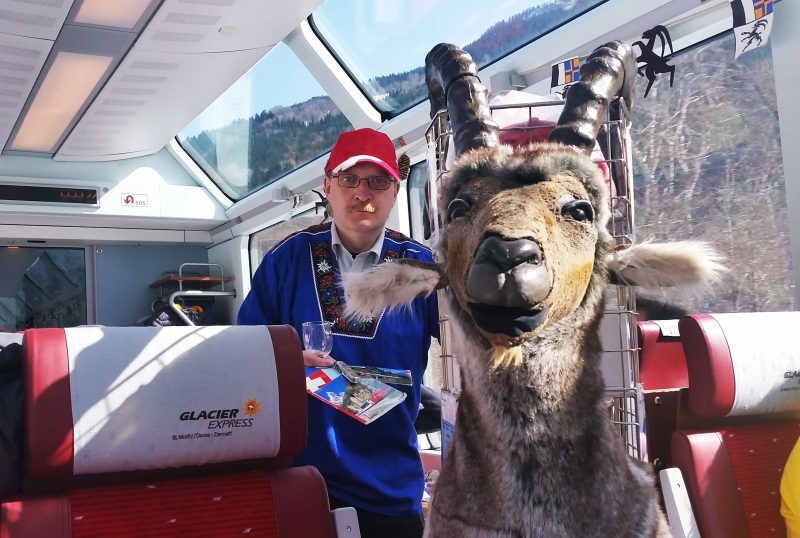 An unexpected visitor – the gift cart – on the Glacier Express! 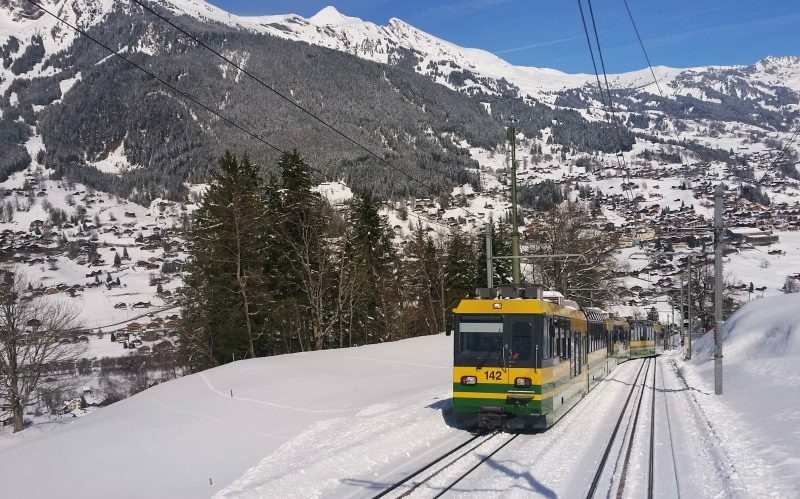 In Chur I transferred to the village of Celerina, ten minutes from St. Moritz (and more affordable.) 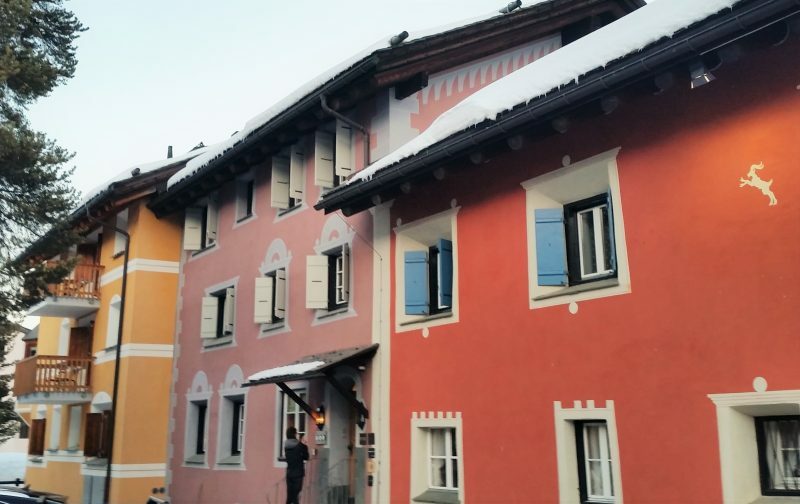 This village is home to many of renowned Engadine painted houses, embellished in soft colors with traditional patterns etched into the plaster. The small station stop was three blocks from the guest house I would call home for a few nights. Breakfast was served in the morning and after filling up for the day I went to explore the glories of notorious St. Moritz. 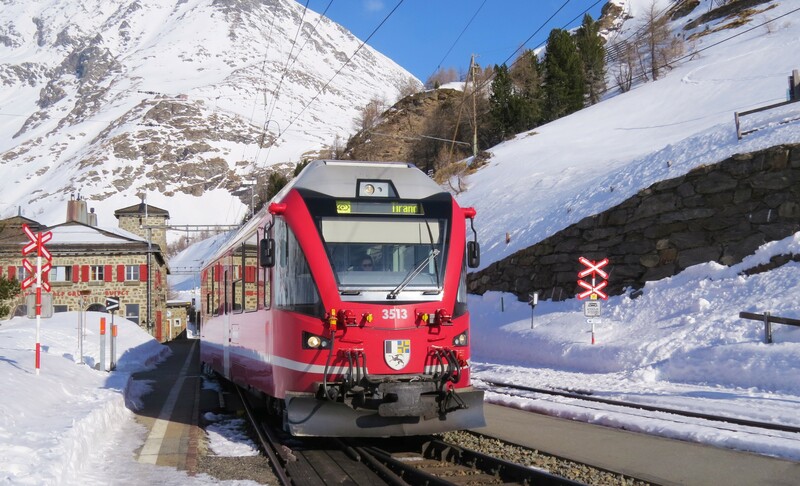 The St. Moritz station is set at the base of the city near the lake with trails leading up and buses shuttling guests into the town, around the neighborhoods. I walked for hours, visited museums, shops and thoroughly enjoyed the winter sun. While sitting on plastic chairs draped with deep furs, I enjoyed a simple lunch of bratwurst and Gluwein (hot wine) from a tented cafe errected in the middle of the frozen lake! Later after visiting the tower church I couldn’t resist a slice of apple struedel and dark coffee. Travel Tip: It’s easy to enjoy several different cultures from inside the Swiss borders. I began in Geneva which reflects its proximity to France. In Interlaken the German influences are relected in menus and signage. St. Moritz is Romansh and I ended my journey in the very Italian city of Lugano before returning to London through Milan. Chiavenna train station with bus stop on the other side. The day continued from St. Moritz via bus to Lugano. It was very comfortable as we wound down through the Lake district and through medieval village after village. We took a long stop in Chiavenna where there was a large, sleek cafe and coffee shop. I could spend weeks in that area alone but felt that way about so much of Switzerland. 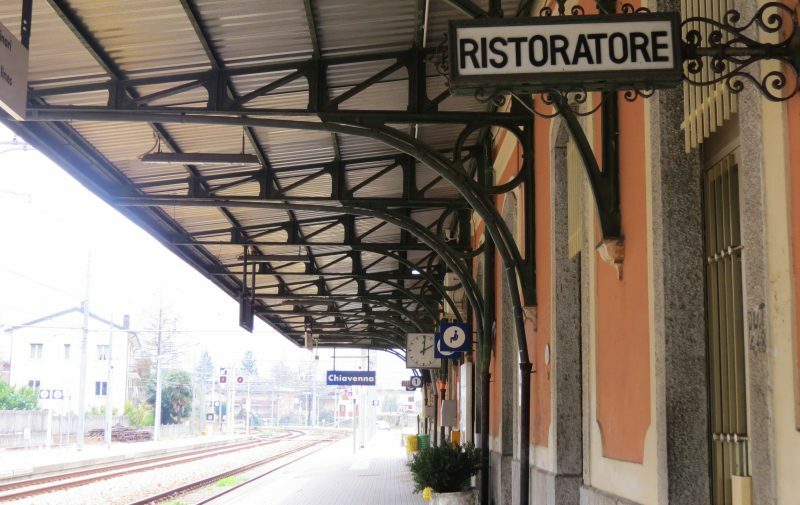 In Lugano we stopped at the main train station and it was a short walk to my hotel, the elegant, historic, Continental Park Hotel, one block from the station and the bus that would take me to Milan and my final flights home to California. The train trip was so simple and relaxed. Not once did I ride in a car in the two weeks I was in Europe, which would never have happened in the U.S. People may joke about how efficient the Swiss are but it’s nothing to laugh at. They’ve engineered a world class travel system that works for the locals and for their many international visitors. The trains run on time, don’t pollute the pristine atmosphere and stations are positioned close to amenities, not on the outskirts as in too many American cities. It was the ride of a lifetime and I’m glad I took the dare. Travel Tip: The Gotthard Tunnel, the world’s longest and deepest, opened in June of 2016 and full service will be available in December. 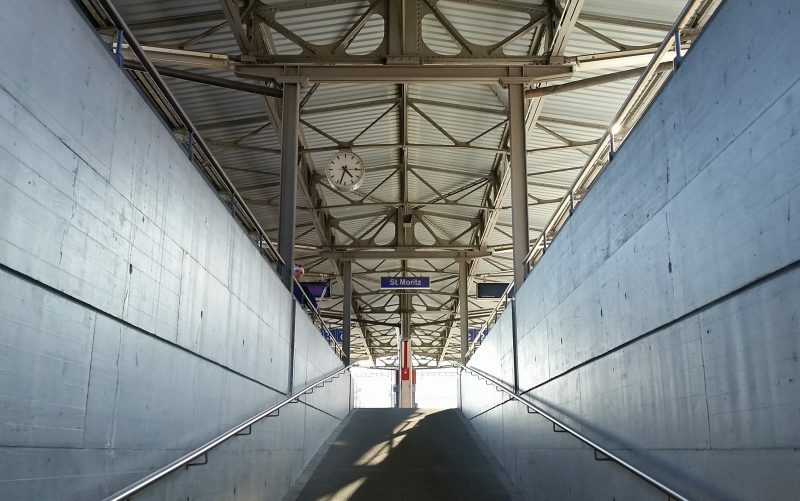 The tunnel, another Swiss engineering wonder, will revolutionize how easy it is to get in and out of Switzerland. Thirty five miles long it features a high speed rail line. It is also set to put over a thousand freight trucks out of business, as goods will be transported more quickly on the north to south route without diesel pollution. Most panoramic routes are free with premium seats available for extra. 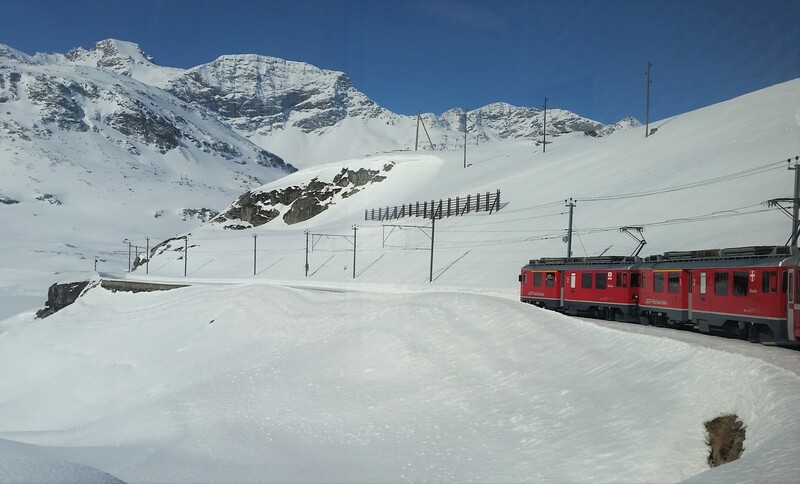 Several different passes are available from the Grand Train Tour, the Swiss Travel Pass, a Flex Pass, Family Pass and seasonal specials. Andermatt: The Three Kings – moderate and historical; boutique fresh at the River House Hotel or five star luxury at the Chedi Resort. Celerina: Hotel Trais Fleurs – Modest accomodations centrally located a few minutes from the train. 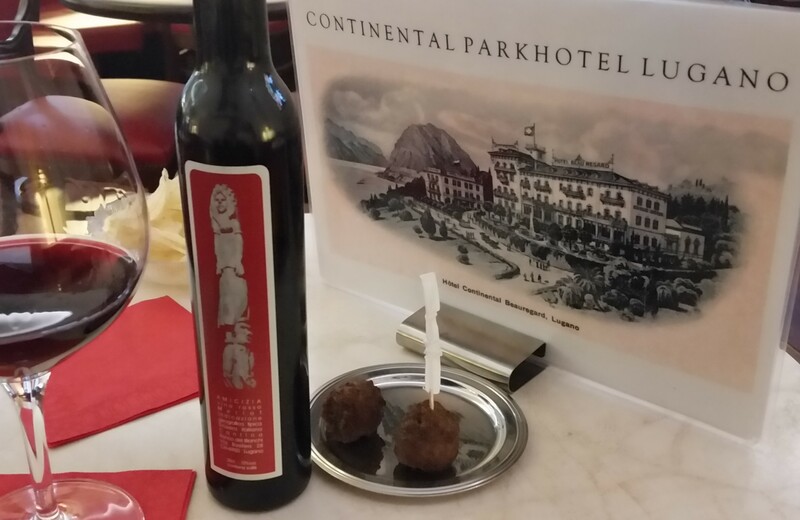 Lugano: The Continental Park Hotel just yards from the train station. Quiet, simple elegance and affordable. Disclosure: This trip would not have been possible without the help of the Swiss Travel Pass and Swiss Tourism offices. Special thanks also to Geneva and Interlaken Tourism. I was their guest, covered my own lodging except in Geneva, and all opinions are my own. I hope you enjoyed this Swiss Pass post. Share it with friends. Pin this! 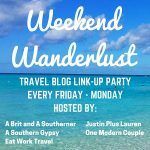 Happy to link up with these other fine travel blogs. Check out these linkups! Going there next week! You listed hotels you stayed in using your STP, was the cost of hotel also included in the pass or discounted? Do trains travel at night, where one could just sleep on trains-no hotel cost? Did I understand you right, that you can check your luggage at the office while you go explore the town, if so is there a fee for that? Thanks, Lolo. It was a magical journey and yes, that cart just cracked me up! Love your pictures, Elaine! I haven’t been to Switzerland in the last few years but you just reminded me how pretty it is 🙂 I’ll need to go back someday! The Swiss travel pass sounds like a really good cost-saver, thanks for the tip! Thank you, Michelle. Always nice to stretch the travel budget – especially in Switzerland! 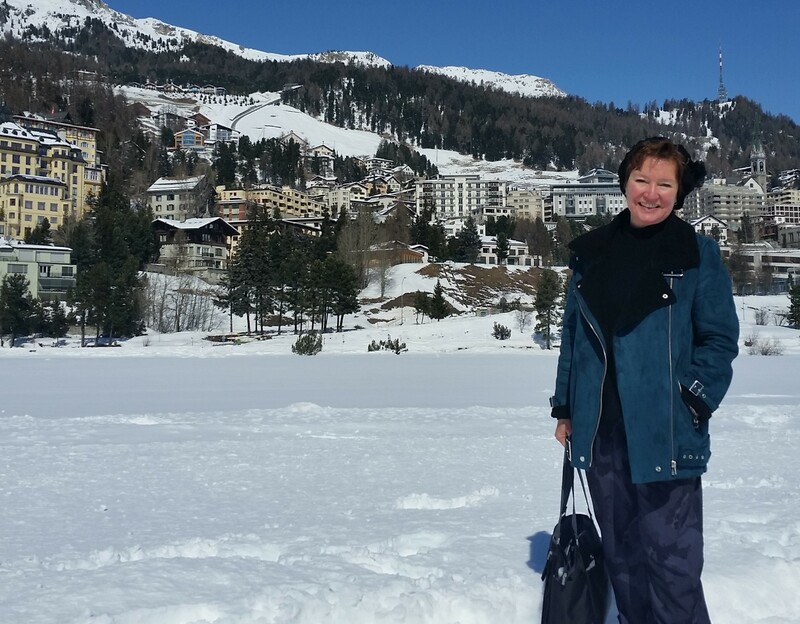 You look beautiful there in St. Moritz with your rosy cheeks, Elaine! I’m glad you enjoyed Switzerland so much. It’s a marvellous country that I, too, had the opportunity to explore using the rail pass. I have a return journey planned for September, and can’t wait to discover more Swiss chocolate! Thanks, Doreen, just made me blush redder!! I so hope you’re taking the Chocolate Train! I didn’t get into that region. There’ll just have to be a next time. Hi Elaine: The Chocolate Train is seasonal. I’d missed it on my previous visit as it doesn’t run in October. I’ll be going in late September, so I’ll have to check and see if it will be running during my visit. It wasn’t running when I was there either. No matter, there will be chocolate. Lots of chocolate!! I think the Swiss Pass is a good deal. I used it too when I traveled through Switzerland last year. Your post and photos reminded me how beautiful Switzerland is. I want to go back. Glad to hear that you found the travel pass valuable too, Anda. That means a lot coming from such an experienced European traveler. Wow! I have been to Geneva once, but haven’t been to other areas of the country. The pass seems like a great convenience – covering transportation wherever you go. I hope to have space for a tour of Switzerland on an upcoming trip. 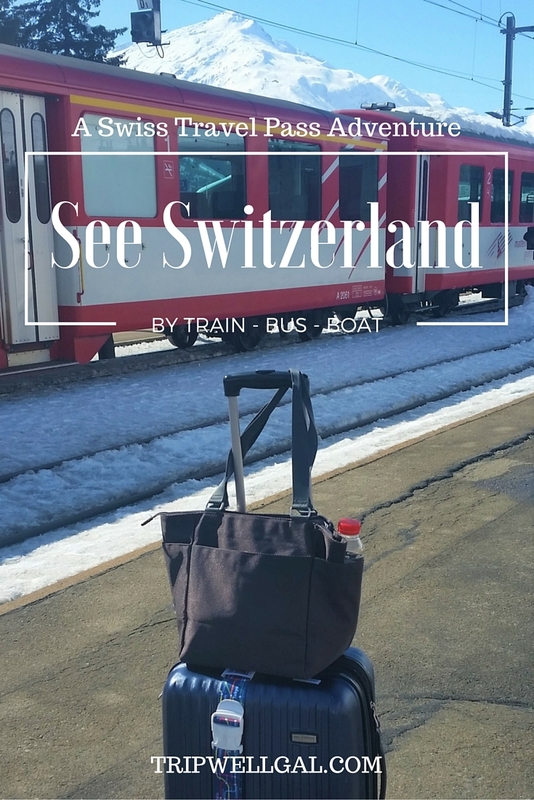 Thanks for sharing your experience – I did Switzerland the same way! 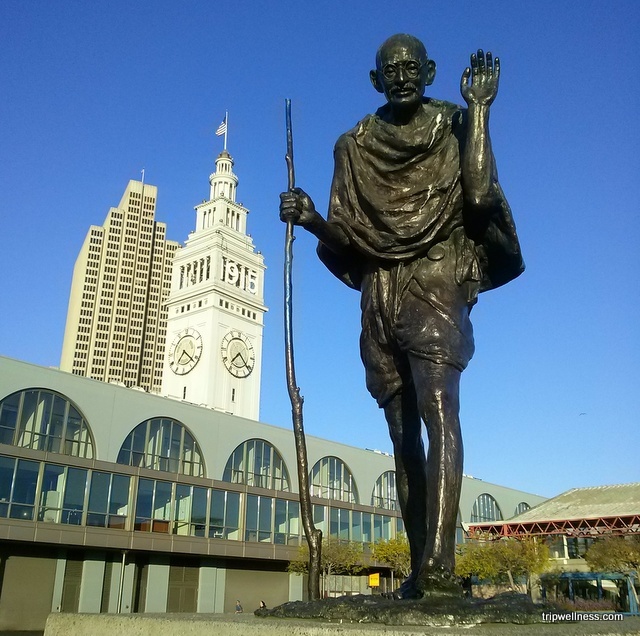 I was so impressed with how easy it was to explore the whole country by train – I saw much more than I think I would have if I was to have organized my trip with domestic flights. 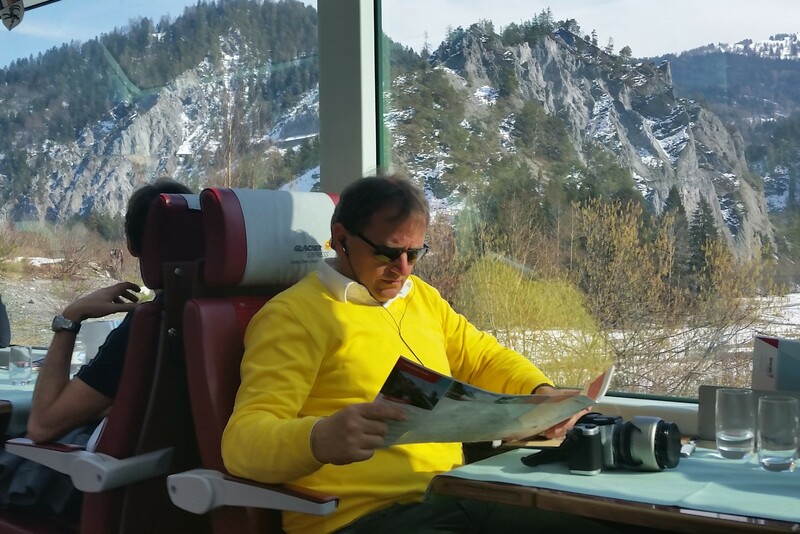 I love train travel so much – you see more of a country than you would from being 35,000 feet in the air! So happy to hear you did a similar trip, Meg. I wish more travelers took the time to traverse their destinations than just hopping from location to location by airplane! Great post. I’ve been to a few of the places you visited, but never in winter! There’s something so stress-free about having a pass….you just get on, show your pass and you’re off! I’ll have to check out some of those places you mentioned such as Lugano. I was a bit nervous about traveling in winter as well but made sure I had the right clothes and boots. Luckily also there was sun most of the days I was there and it rained lightly only one night! I was that 16 year old once in Hawaii with the Tolkein books. My poor parents! In her defense, it’s a long, long journey from Zermatt to St. Moritz! I would love to do exactly that trip. You saw so much of the countryside. And it really looks like the trains are easy. I love the map on the tray table what a great idea. There are so many thoughtful touches for travelers across the Swiss travel system. They really have public transportation down. Sounds like you had a great time in Switzerland too, Carole. Wow! This is great. 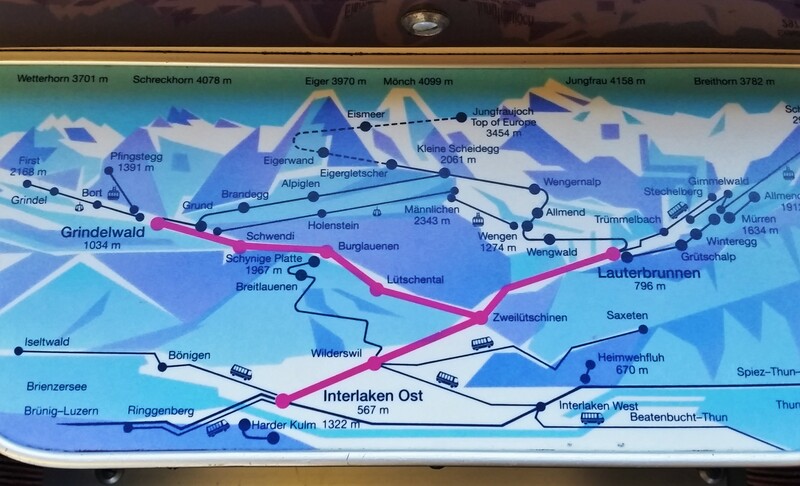 I didn’t know about the Swiss Pass. It sounds like an amazing way to explore the country. I love that it not only includes buses and trains but boats and museums as well. I’ll have to keep it in mind when I get the chance to visit. You’d love seeing more of Switzerland, I’m sure, Megan. Getting stuck like that would be a bummer. I was relieved to not have to worry about currency in the stations at all. The swiss pass looks like a great way to explore the country. I love getting to take trains around. It is so pretty to look at the alps. Trains, bus and boats are included in the pass. Makes getting around much more affordable and easy to explore the Alps. Thanks for stopping by, Mark. I didn’t make it up to Bern and missed the Matterhorn but even for the cost, felt I had to go. I hope you get a chance to visit more of the country when the time is right. It sounds like such a great travel. I found that using public transportation lets you get to know better the country you’re visiting. Thanks for all the great tips! Yes, I’m a big fan of public transportation too. Definitely allows for mingling with the locals. Vlad, you’d love Switzerland. Lots of adventure and play! Switzerland is such a beautiful country, the lakes and mountains are amazing. I would love to spend a few weeks exploring the country by train, train is definitely my favorite way to travel! Thanks for the tips on using the Swiss pass! Thanks for stopping by, Bell. What an awesome rail pass! I love that the offices in each city provide so many helpful services as well. Sounds like the trains are a comfortable, clean and peaceful way to travel throughout the country. My husband and I would love to visit Switzerland one day! I hope you two get a chance to explore Switzerland before too long. Thank you for the useful travel tips! Switzerland is a very expensive country-we were floored when we were last there, but luckily, there are a few tips and tricks which you can use to save money. The scenery on the train looked absolutely stunning! It’s pretty expensive compared to some other locations but I felt the value met the cost across Switzerland. Wow did you see a lot! So many great places within Switzerland and I did not realize that the regions were so different. This is a great way to see this country. It was one revelation after another as I stopped in each region. Truly a fun and simple way to get around Switzerland. I hope you get a chance to return one day. I’d love to. Switzerland is such a beautiful country! I never knew the ease of getting around it with a Swiss pass though. Will definitely have to look into this next time I am in Europe. Thank you for such a detailed post. Thank you, Natasha, the Swiss Travel Pass made my trip a breeze. Your pictures and description of traveling in Switzerland inspire me to return to the country to see it more in-depth! I just wish it wasn’t such an expensive place to visit. It seems like a travel pass would probably be a good idea if you are planning on covering a lot of ground and using a lot of transportation during your visit. I hope you get a chance and the budget to return. It’s spendy but worth the expense. Wow! What an awesome trip. I do love how you can experience such a variety of cultural influences in one country. Switzerland does seem like the perfect destination for a variety or experiences. Glad you enjoyed reading about the trip, Rob. There’s lots to explore for certain and I hope you get a chance to see Switzerland yourself one day. 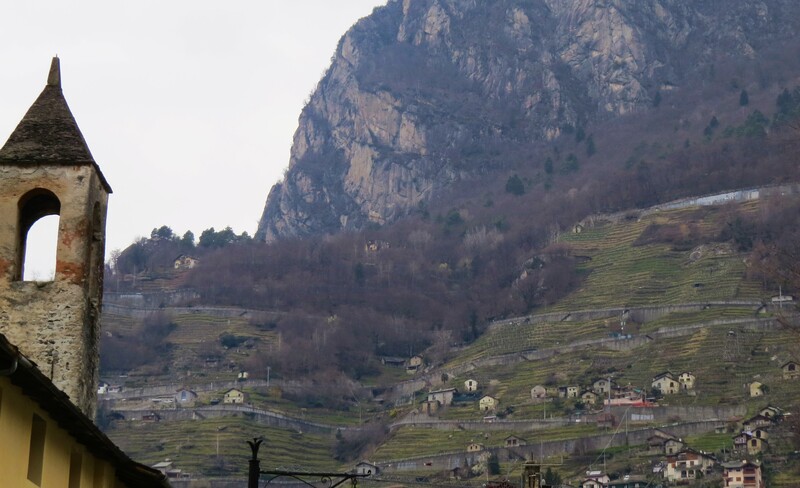 Can’t wait to see Switzerland, but reeling about the cost … thanks for this money-saving post! It’s an expensive country but worth the exploration. I hope you can visit soon and that this helps.